I spent all of last week smiling with joy — and I still am — over this bit of news that my number one gal, Lauren Helen Graham, signed a seven-figure development deal with NBC. Ausiello: Bad news: My BFF declined my interview request. I also tried to get a hold of NBC’s Ben Silverman, the architect behind LG’s megadeal, but he, too, was unavailable to speak to me. The same goes for Graham’s manager, John Carrabino. Maybe the wall of silence is their way of keeping expectations in check. After all, as numerous sources tell me, this is nothing more than a standard 12-month holding deal, and one that may or may not result in a TV show. Whispers one insider, “NBC is basically paying her a crapload of money to spend a year sitting around reading bad scripts.” Much like the cast of October Road. Because it just so happens that I love reading bad scripts, too! So Lauren, if you ever need a script-reading buddy, I am your man. 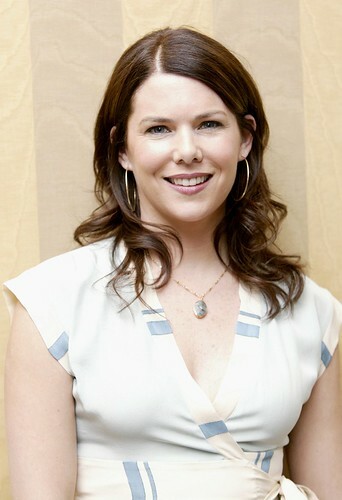 Didn’t know you were a Lauren Graham fan. I love her. I really miss gilmore girls.